It was rainy afternoon and I considered not going out anywhere. 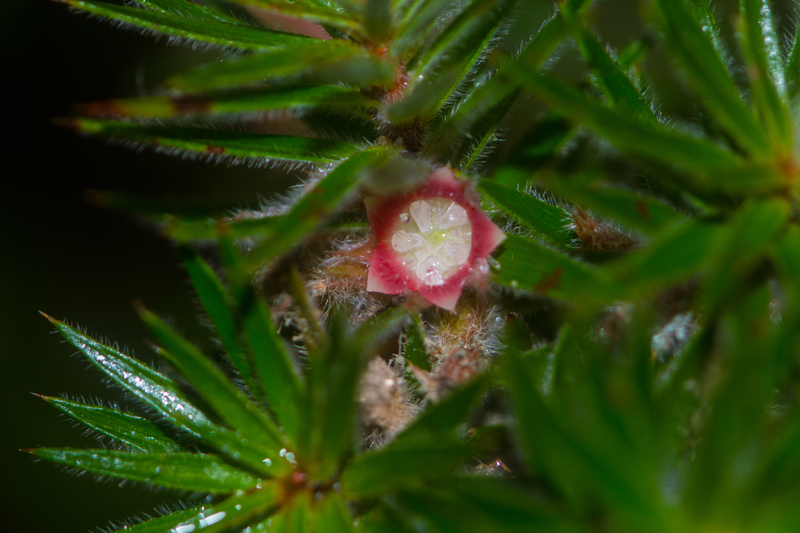 I left at about 2:00pm to travel up to Glenreagh and take some photographs of the sandstone flora. 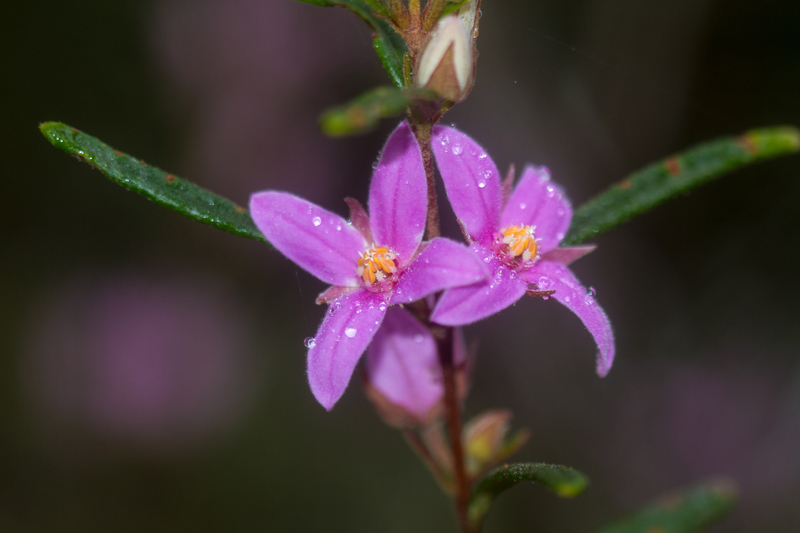 I made it as far as Middle Creek and took some photographs of Wonga Wonga Vine (Pandorea pandorana), Sandstone Boronia (Boronia rosmarinifolia) and a Bursaria. It started to rain heavily so I got into car and drove back to Glenreagh. I drove north up to Flaggy Creek where the skies looked clearer. 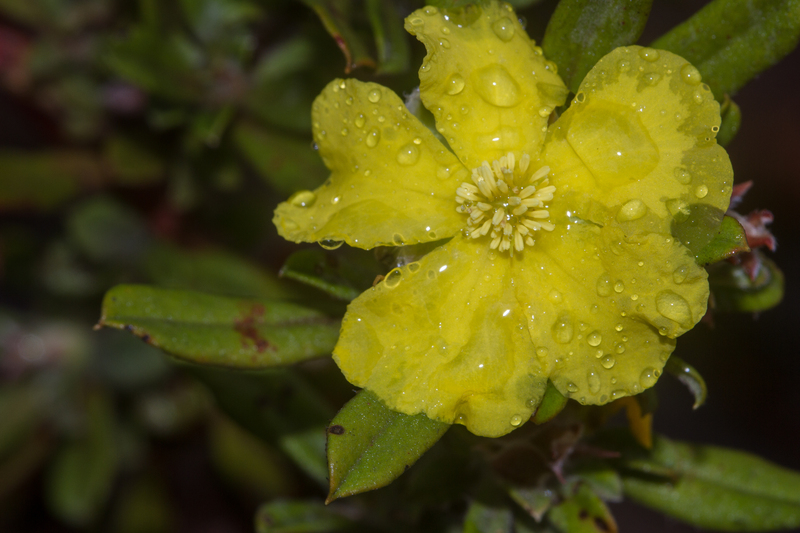 The rain started to clear and I took some photographs of Jam Tarts (Melichrus hirstus), Acacia venulosa, Acacia quadrilateralis, Hibbertia marginata and Bossiaea rhombifolia. 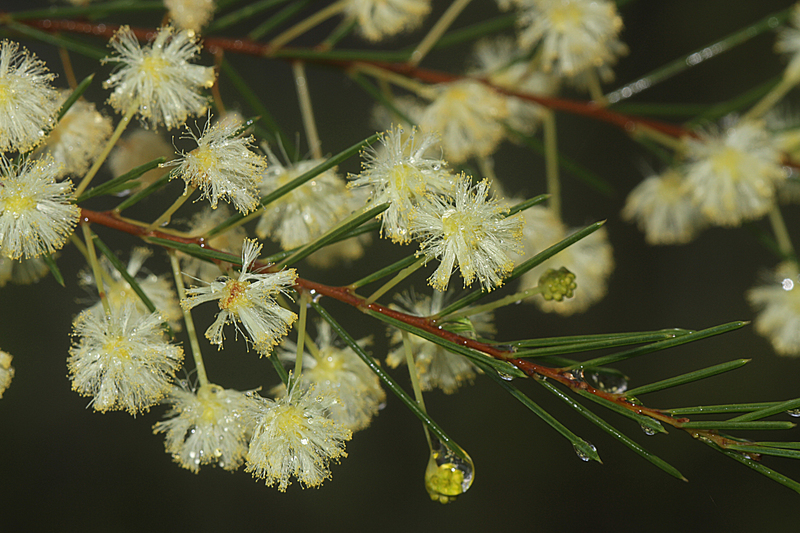 The overcast conditions made good soft light and water droplets settled on petals, flower and branches. It turned into an enjoyable afternoon out. Jam Tarts (Melichrus hirsutus). 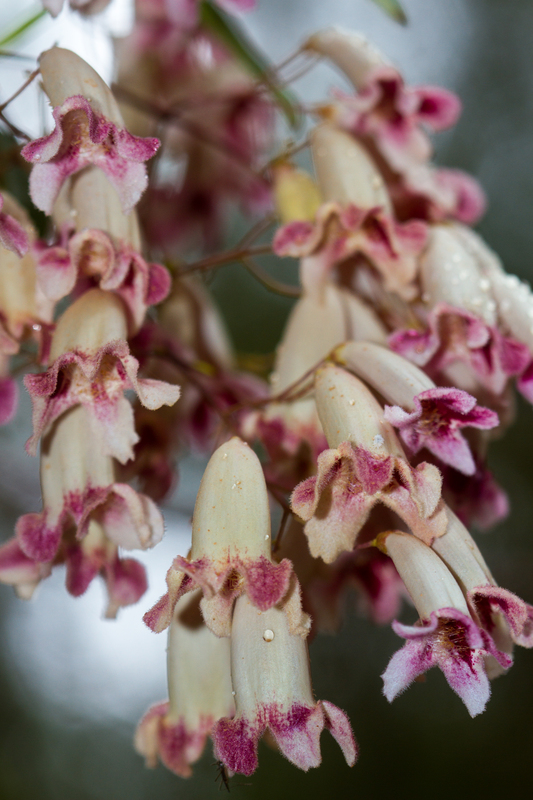 This is an endemic and threatened species only known from the Glenreagh sandtone.